This model is the gunmetal barrel with bright chamfer edge. 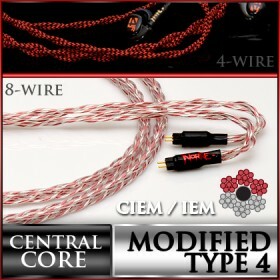 Now with a more streamlined barrel, yet still can fit plenty of wires, the 2.5mm extended connector can be utilized with multiple headphones due to its unique design. 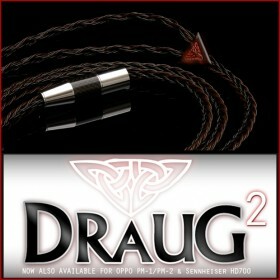 A DIYers dream, make one cable that can be used with many headphones. Sold per pair. Perfect size and shape. 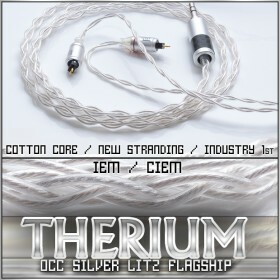 The 2.5mm connectors offer a unique challenge to the audio cable industry and anyone looking to build a high-performing cable. Paving the way for a universal connector for a variety of today’s 2.5mm-compatible headphones. Now with a significantly streamlined 8mm barrel diameter that will fit very compact jack layouts, but a 6.3 mm rear opening will fit the vast majority of cables. The extended, narrow collar behind the plug shaft allows for precision fit into these headphones’ recessed openings, and will likely fit a variety future headphone releases that use this connection standard. The long shaft length will fit openings both wide (HD700) and narrow (Oppo), with socket depths both deep (HD700) and shallow (Oppo). This design is one-of-a-kind and is not based on any other designs, engineered specifically for these two headphone series’ with countless possible applications in the future. Ideal installation conditions. The solder contacts inside the plug are thoroughly insulated and properly spaced to allow effortless cable installation. 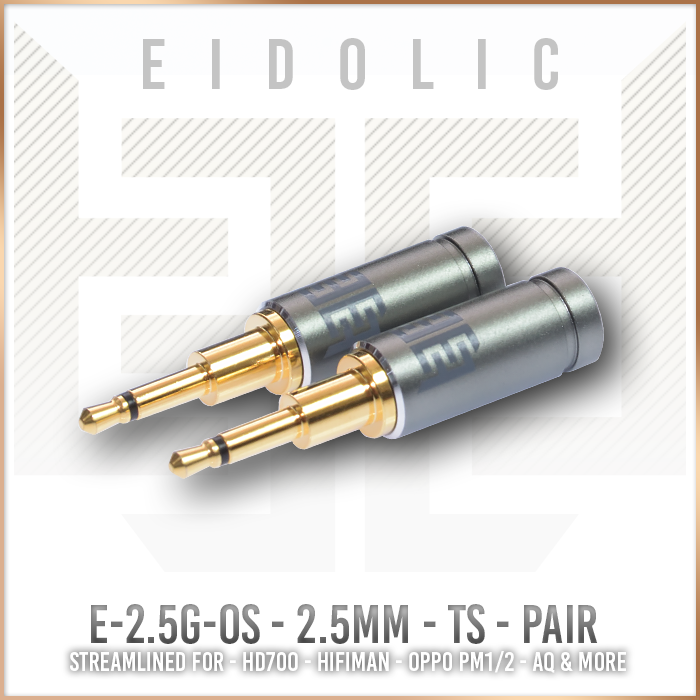 Just solder the positive and negative wires for each channel’s Eidolic 2.5mm plug, screw on the barrel, and top up the barrel with hot-melt adhesive for a cable that will last the life of your headphones. This design has been prototyped and tested over an extended period to ensure it goes the distance. 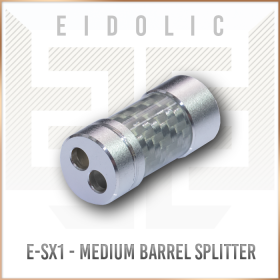 The barrel is treated to ensure its interior is nonconductive, and Eidolic plugs avoid the use of magnetically charged materials wherever possible. The best metallurgy for each design. A high-conductivity, high strength combination of gold and brass is employed for this connector. Superior plating thickness and complete plating of all plug surfaces set this connector apart. Unique barrel aesthetics. The Eidolic 2.5mm mono plug is incredibly light and compact due to the choice of materials, which also confer a near-indestructible exterior. The anodized aluminum shell is textured with a proprietary process that yields a tough, matte finish that sparkles in the light. A striking, white Eidolic logo is screened and heat-cured onto the upper area of the barrel. The barrel is impervious to everyday wear & tear.